More practice with oil paint sticks on paper. I am going to try and stay within 6″ x 9″ and 8″ x 10″ sizes on paper for now. This is a good size to work on to get a piece done within a reasonable time. I think this is a good way to get my technique refined before moving over to larger work. I did get some Shiva oil paint sticks that are not student grade, the color seems to be richer. They are “hard” but that seems to be working to my advantage right now. My other goal right now is to improve my drawing skills for faces. I have some pieces that I want do that involve things like mermaids and they need to have nice faces! 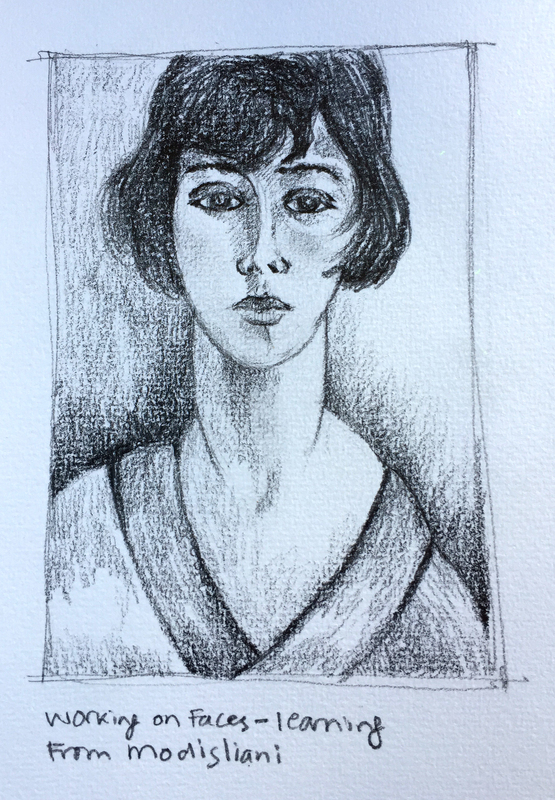 So, I am sketching faces, mostly from expressionist and impressionist painters…I don’t want to get to tied tight with them. 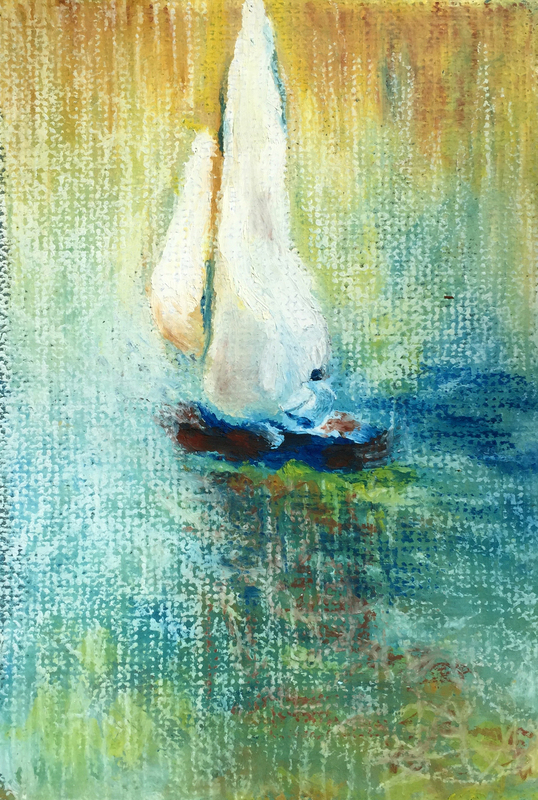 This entry was posted in art, artistic discovery, drawing, faces, oil paint sticks, portrait, sailboat, small painting and tagged art, art experiments, artist, oil paint sticks, oil pigment sticks, portrait, sailboat, sketch. Bookmark the permalink. thanks Karen! I was kind of surprised to find a medium that I wanted to pursue into a body of work. Now I just have to find the right brand…the Shiva are just a little too brittle, but certainly good to start with. Wow, you’re on to oil sticks now. This looks great. I hate oil paints and the smell but sticks sound good. I got a couple of books on doing portraits so that,s a goal of mine too. We have the house up for sale, so no time right now for learning new things. I’ve got the Shiva cassein paint and I like it.